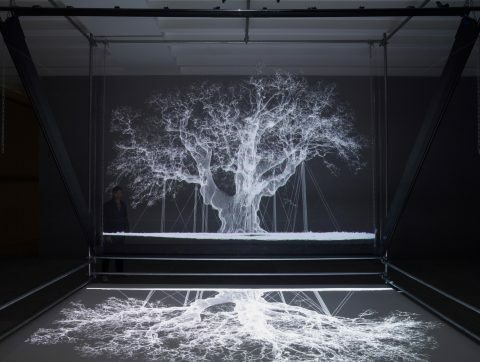 Mat Collishaw’s critically acclaimed virtual reality artwork Thresholds is a fully immersive portal one of the earliest exhibitions of photography. Collishaw collaborated with a host of experts including: VR specialists, architectural historians and world experts on photography to restage the 1839 exhibition by William Henry Fox Talbot. Thresholds launched at Somerset House before travelling to Birmingham Museum and Art Gallery and The National Trust's Lacock Abbey; where it is on view until 29 October 2017.